St. Michael remains committed to providing a safe environment for each member of our school community. Please note Diocesan policy 4110. Regarding Background Checks states: All paid staff must have on file both BCI and FBI background checks and must attend “Protecting God’s Children.” All volunteers must have on file a BCI background check and must attend “Protecting God’s Children” no matter how much or how little contact they have with children or youth, no matter if volunteering for the school or parish, and no matter what time of the day or night they volunteer. St. Michael staffs a Safe Environment Coordinator position to ensure our parish and school community are meeting and exceeding safe environment policies in place by the diocese, in accord with the 2002 Dallas Charter. Mrs. Kollene Caspers is currently serving as the St. Michael Safe Environment Coordinator. Each year our school and parish are required to provide documentation reporting our safe environment vigilance to the diocese, including the names, dates and prior clearance of each volunteer in direct contact with minors. In our most recent on-site safe environment audit, St. Michael received the best rating issued, that of compliance. Learn more about VIRTUS, the best practices approach we use, and where to report here. Register for safe environment training sessions here. 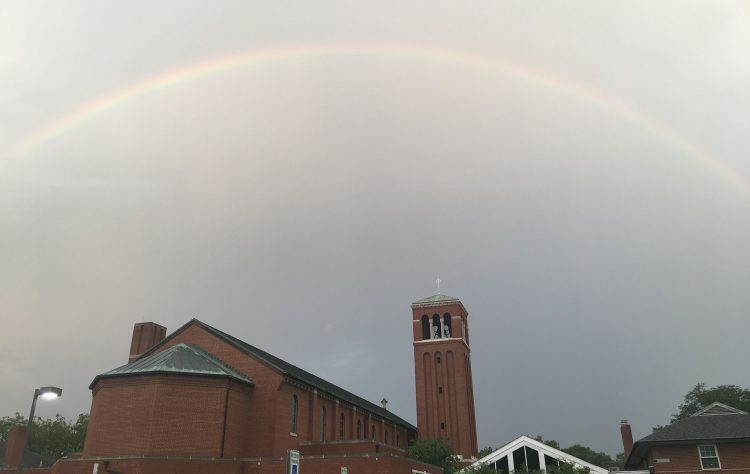 We are grateful to the parents, volunteers, coaches, staff and faculty members, and parishioners who contribute to the safety of all members of our community.